I know it's late but I had full on can't-get-out-of-bed flu for the whole week before Christmas and I hate the idea that it ends at 12.00am on 26th December - this feeling is not helped by the complete bombardment of sales adverts on the TV and radio and the constant news updates on how many people have been through John Lewis etc. It's all become so materialistic I find it really disturbing and unfestive. Having said that I'm writing from my amazing and fabulous laptop kindly given to me by the hugely generous Mumma and Papa B who I think will enjoy the silence of my happy tapping compared to the previous efforts on my last computer which saw me turning the air blue with expletives every time I tried to do anything other than play solitaire. I hope everyone had fantastic Christmases and are looking forward to the New Year and 2008. I've discovered that I am not, as I once thought, alone in my dislike for New Year. Ideally I'd hunker down with a couple of bottles of fizz and some smoked salmon and other goodies and be in bed by 1.00. Unfortunately for me (or maybe fortunately for my social life) Mr J is a party fiend and does not think New Year is New Year without jiggling about to music with 500 of his closest friends until 8.00 am on New Years Day. Luckily Mumma B always has an alternative New Years Day feast the weekend after the event - giving us time to recover and ensuring I get a little tradition to start off the year (although I'm sure it's a ruse to ensure her children are back in the house to tear down the tree they insist on being present to decorate). It seems that no one really has many plans for this year - last year everyone was having parties but this year there really aren't many (unless I'm being kept seriously out of the loop). I'd like to think that our party last year was so fabulous that it can't be beaten but I'm sure that's not it. I managed not to disgrace myself at the Christmas party which was so fun, Miss K has flown off to Canada, and I have suddenly succumbed to the horrible cold that's been going round. I had to slink home from work early today to lie in a dark room. I'm hoping that the Lemsip will knock it on the head. It has not been a good week for Amy Winehouse who is to be questioned by the police in relation to her husband's arrest for GBH and perverting the course of justice. So Amy being Amy goes to the pub at 6am for cocktails and makes a suicide pact with her prison bound husband. Fellow press meltdown nightmare Britney Spears has been barred from her favourite hideout the Beverly Hills Four Seasons. It does not look like either of them will be changing their ways any time soon. It's the dreaded Christmas party - it's the concept that's dreaded. I have no idea what to wear, I'm constantly exhausted from too many festivities so my face is not even trying to stop me looking horrendous in all the party pics and the uniting of alcohol and work is always to be closely monitored. It also brings closer the knowledge that the lovely Miss K is off to Australia soon and this is her last hurrah (no sneaking back to my sofa early for me then). For those of you braver than I there are some fabulous party dresses available. As usually Asos have a huge selection - I love the look of the Luxe Sequin Scoop Back Dress £65 (as seen on Eva Longoria) and the French Connection Snowball Sequin Dress which is a bit more at £150 (as seen on Cat Deeley). For those of you who want something a bit more demure the Ted Baker Oversize Wool Mix Tunic (£75) is perfect. If you are not keen on not trying before you buy New Look are doing a sweet Sequin Baby Doll Dress for only £25. For maximum bling Miss Selfridge's All Over Sequin Maxi Dress (£85) will certainly get you noticed. Marks and Spencers Per Una's Sequin Shift Dress with its flattering satin waistband (£99) is really feminine. For those who prefer a little less sparkle Monsoon surprisingly have some really great maxi dresses - I love the Clementine Long Silk Panel Cut Print Dress and the Venus Burnout Dress both £180 but so understatedly glam and sophisticated, this is definitely not just a Christmas purchase. These may not suit those of us not blessed in the leg department so if that's the case you should try these on before buying. I have to say I am really sick of the Christmas shopping - I usually love it but am a t otal pauper this year, the crowds are completely out of control and it's getting harder an d harder to know what people want. But this has been a great year for a bit of sparkle (remember the sparkly hair clips?). I may not know what other people want having been on a massive pre-Christmas shopping ban I saw so many things that I want. A word of warning - if you are retail starved don't think that you can just wander into Cath Kidston and not immediately want to hand over your credit card (or debit card in my case) even the tea towels are irresistible. Miss M had to drag away from the NARS Glitter Pencils on Saturday. They come in eight colours by my favourite is Area (black with gold glitter) and Mudd Club (beige with gold glitter). They are £18.50 each but these are chunky pencils which will last for ages. The lighter colours 54 and Roxbury can also be used to highlight the cheeks. I can't stop thinking about them. No 7's Highlighter is made up of champagne, platinum and gold powder to add highlights and sparkle to the face or body. 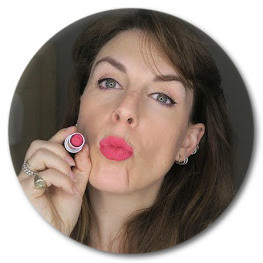 There are so many different kinds of highlighters and illuminators around at the moment but this is great for general application and it won't break the bank at £13. It's perfect for taking to work to streak on your cheeks when you have to go straight out afterwards. 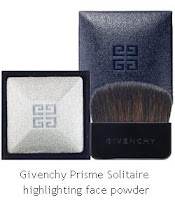 For those of you wanting to spend a bit more on your highlighter Givenchy's Limited Edition Prisme Solitaire highlighting face powder is £28 - not only is this a great facial highlighter but for those of you brave enough to go strapless in this weather it looks great on the top of you shoulders.